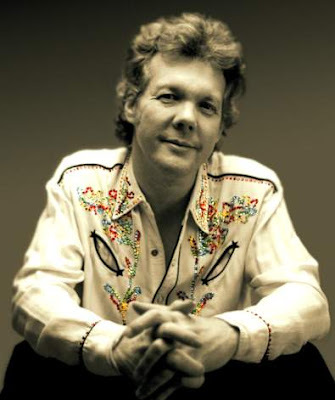 Ah, Steve Forbert... 38 years ago, he was lauded as 'the new Dylan'... which was a ludicrous tag to shackle anyone with. First off, there had already been roughly 314 'new Dylans' since the old Dylan released his debut album in 1962. While a few of them (Donovan in particular) had achieved a certain level of success, the others were swept aside when the next 'new Dylan' came along. It seemed that every singer/songwriter who played an acoustic guitar and blew into a harmonica was destined to be labeled as the next 'new Dylan'. And how many guitar-led bands were saddled with 'the new Beatles' tag over the years? Even the Bay City Rollers were once called 'the new Beatles' but we all knew that they were really 'the new 1910 Fruitgum Company’! 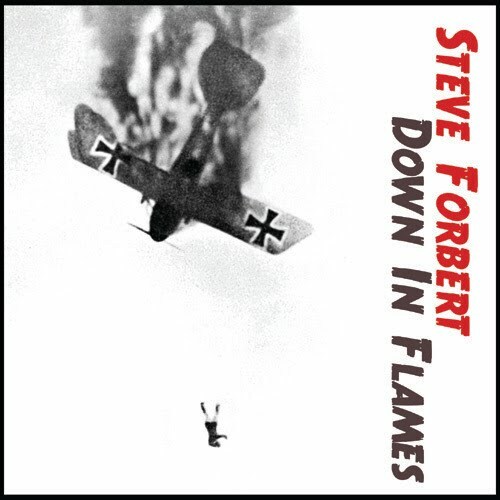 As for Steve Forbert, he deserved to be called 'the new Forbert' and left to his own devices. Judging by his recorded output, he was (and is) an extremely gifted and unique artist who unfortunately spent the first part of his career trying to shake the 'new Dylan' tag and move on. It wasn’t his fault that misguided critics decided to slap a label on him but thankfully, he moved beyond that and has forged a successful career – his 2015 album Compromised is proof that he hasn’t lost any of his charm. Ever since he released his debut album, Alive On Arrival, in 1978, he has managed to release a series of albums that sound like no one else. His songs come from the heart. Whether he is singing from experience or writing from another person's perspective, he continues to hit the nail on the head each time. He still travels the Folk road that he began his journey on so many years ago, but he has no problem injecting Rock, Soul, Pop, Latin, Bluegrass and Zydeco into his songs. His music is now referred to as Americana but that’s just another attempt to label him. If you need a simple description, I suppose American IS appropriate but there is so much more to him than one word can describe. Alive On Arrival is the album that started the ball rolling. 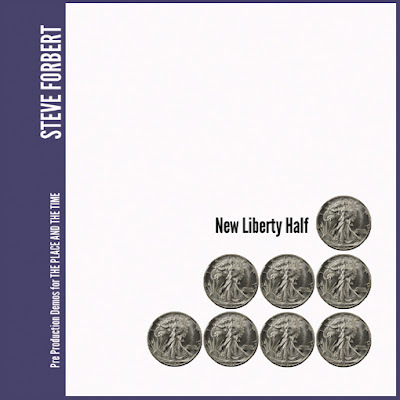 With warm production and Forbert's intimate performances, the album heralded a new talent that, on first listen, didn't seem to fit comfortably in any one genre. Sure, it's a Folk-centric album, but there's also many other influences floating around including Pop, Rock, Country and Gospel. Some of those influences make themselves known in a chord change while other times, it's in the subtle nuances of the production and musical interplay. Forbert's voice possesses a rasp that is far from the cocky throttle of singers like Rod Stewart. Forbert, at 23 years of age when this album was recorded, sounds as if he still retains that sense of wonder, excitement and playfulness that most of us lose when we 'grow up'. Now, don't get me wrong... he is far from child-like yet there remains a charm that is hard to describe. Lyrically, he is right up there with the best of them, touching on issues that are personal but also universal. He is smart and sharp but down to earth. While the album didn't contain a bonafide hit single, the critical raves that the album received raised Forbert's profile and brought some attention to this album. 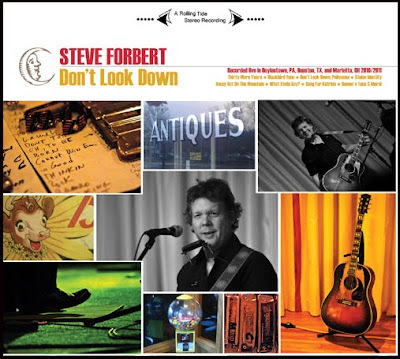 Though many praised it's Folk-based approach, it is Forbert’s songwriting that really shines through. In the late '70s and early '80s, nearly two years between albums seemed like a lifetime. Most bands rise and fall in that amount of time. But then again, most bands didn't release a sophomore album quite as wonderful as Jackrabbit Slim. Still traveling the same musical ground as the first album, Jackrabbit Slim upped the ante in terms of melodies. Alive On Arrival certainly had plenty of them, but this sophomore rekkid was more immediate and more satisfying if you were in search of a tune to hang your heart on. Fortunately, I can happily state that it is NOT all downhill from there. Just the opposite, in fact. Jackrabbit Slim is chock full of great tunes that are easily some of the best things he recorded during his time on Nemperor Records. Just like on his debut, the songs are all top notch.... only better! The songs have arrangements that are full, spacious and warm... yet the big, slick production doesn't interfere with the songs at all. And the bonus tracks? Pure gold. 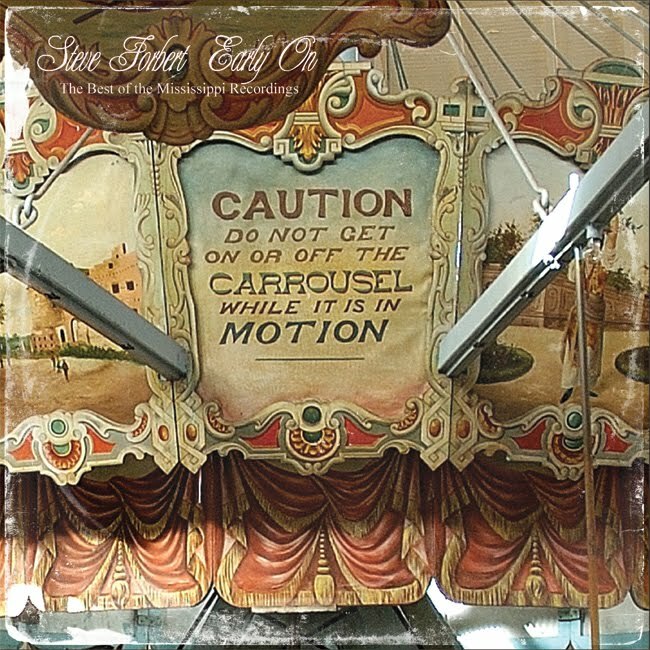 The excellent 6 minute "The Oil Song" is added to the main album while a second CD is devoted to a handful of studio outtakes (“Witch Blues” is especially worthwhile) and alternate and live recordings. Very much worth your time and money! No matter who produced his records, Steve Forbert ended up sounding like Steve Forbert. Very early on, he managed to become a unique songwriter that stood out, no matter what type of production he was surrounded by. Since "Romeo's Tune" had been a decent sized hit on Pop radio, it seemed like Nemperor wanted to explore the poppier -even rockier - side of Forbert with his third release so they threw him in the studio with the great Pete Solley. Solley was just coming off the success of The Romantics' first album (also on Nemperor) and their hit "What I Like About You". While Solley's production may not have been as earthy as Forbert's music was accustomed to, Forbert stepped up to the plate with a fine selection of songs that still sound great today. OK, so the production is a bit condensed, but the songs are as meaningful as ever and the melodies are more direct and immediate. "Get Well Soon", "Song For Katrina", "Cellophane City". "Laughter Lou (Who Needs You? )", "If You've Got To Ask You'll Never Know", and "Lonely Girl" are definite highlights but Little Stevie Orbit is a strong album from start to finish. There's certainly a lot of joy and energy coming from these songs and that is what makes Forbert who he is - he has a tendency to add charm and vitality to his performances. The bonus tracks here are from the same era and are top notch, with special kudos for "Planet Earth Song". Another winner of an album, although it didn't seem to do much in raising his commercial profile. The bonus CD is a live show taped on Thanksgiving of 1980 and features live versions of tracks from his first three albums plus a few cuts that don't appear on his studio releases. 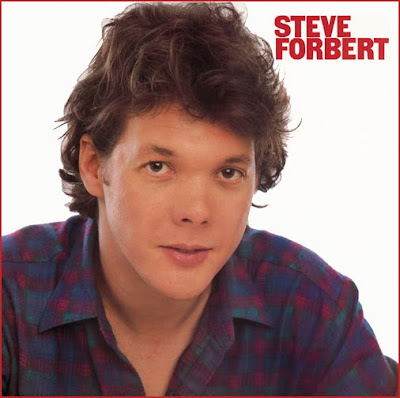 For his self-titled fourth album, Forbert was paired with producer Steve Burgh, who had worked with Billy Joel, Phoebe Snow, John Prine, Willie Nelson and Steve Goodman. 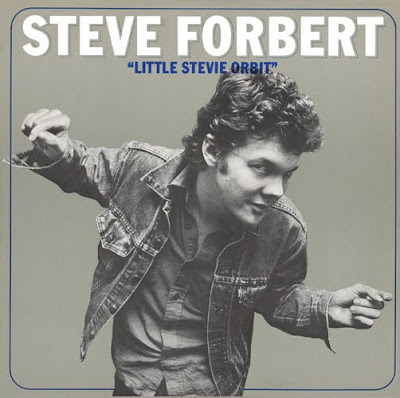 Little Stevie Orbit was a fine album, but it seemed that Forbert's music needed a producer who 'understood' Forbert's roots. Again, with "Romeo's Tune" in mind, the album Steve Forbert was a return to a folkier feel but this time with a more robust sound. While it sounds slick and well-produced, album #4 is yet another collection of well-written songs that should have returned Forbert to commercial waters. In my opinion, this is the album that should have followed Jackrabbit Slim - commercial yet entirely unique. "Ya Ya (Next To Me)" should have been a massive hit with the catchy horn riff that carries the chorus into the stratosphere. "Listen To Me" is one of his finest, most heartfelt love songs... and that guitar hook is heavenly. The beauty of "Oh So Close (Yet So Far Away" is mesmerizing. "On The Beach" is a great mid-tempo rocker with a catchy little guitar hook. Other highlights include "Prisoner Of Stardom", "Beautiful Diana" and "You're Darn Right". 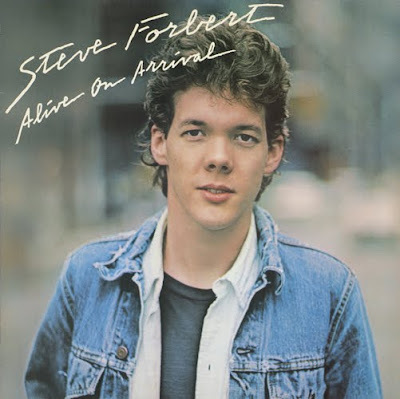 When it comes down to it, this is my favorite album from his Nemperor/Sony period, but that's probably because I adore great Pop albums and that is what Steve Forbert (the album) is. Of the bonus tracks, "Suspicion" is a much more successful cover than "When You Walk In The Room" and fits more comfortably with the rest of the album. Then again, I love his version of "When You Walk In The Room", so that is not a complaint whatsoever! There's even two alternate versions of "Listen To Me"... and you can never have too many versions of that song on an album! Down In Flames is a 3CD set, which makes it a must-have for your collection. Disc One is the 13 track album, Disc Two is demos recorded for the album and Disc Three features live recordings spanning the years 1983-85. Saying this album is a sweet deal is an understatement! What a revelation this is! As the title suggests, this is a collection of tracks recorded in the early ‘70s prior to Forbert’s signing to Nemperor. If you thought Forbert was pretty good with a Pop melody, then you ain’t heard nothin’ yet! 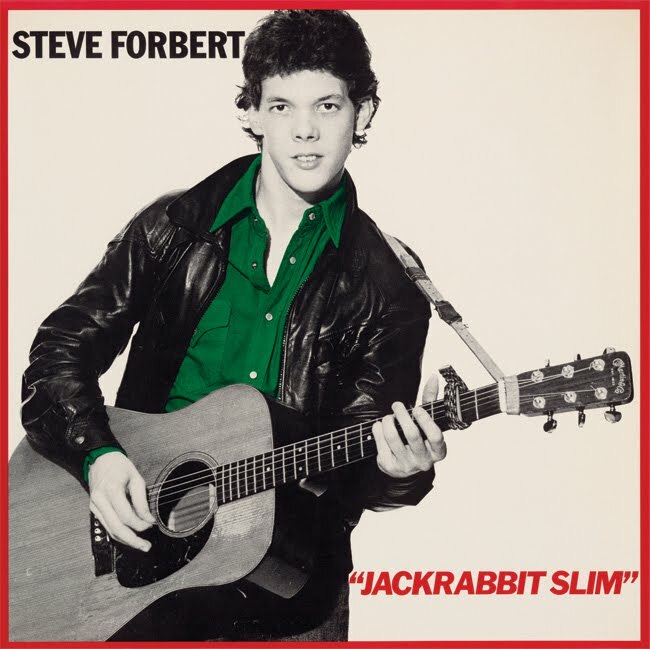 Still trying to find a musical path that he felt comfortable with, Early On finds Forbert experimenting with a lot of musical styles - Rock, Soul, Folk, Country, and Pop. When you think of it, his later recordings were really a mixture of everything he attempts here. There’s even the original stab at the debut album’s “Going Down To Laurel” that has a different feel yet is just as magical as the well-known released version. The recording quality varies on some of the tracks here but doesn’t detract from the music being made. Listening to this album is the equivalent of reaching into your pocket and finding a bunch of precious gems that you didn’t know were there. It is safe to say that some of the songs here are the most melodic that he’s ever released. A treasure trove of unreleased material that begs for another volume! The excellent New Liberty Half includes pre-production demos for the album The Place And The Time (2009) and a few other goodies. A bit more relaxed than the finished album versions, these demos have a nice feel to them – the freshness of new material at the demo stage is always fascinating when you are familiar with the album versions. Power Pop fans may recognize the name Steve Allen (he of the legendary 20/20), who plays guitar on many of these tracks. The song “Fifty Three Blues” didn’t make it to the album and there are alternate versions of “Beast Of Ballyhoo (Rock Show” and “Stolen Identity”. Finally, “Set the World Ablaze” from 2011 is added to the tracklist as well. All in all, another fine release from the gifted singer/songwriter. He never ceases to amaze. I normally despise live albums. I own very few of them. However, since I find it necessary to eventually own every one of Steve Forbert’s releases, I make an exception for him. And I have to be honest – this is an artist who really delivers in a live setting. A good live performer is able to transfix an audience but a great live performer feeds off the energy of the audience. Listening to these sets, Forbert is truly plugged into his audience and the electricity between him and his fans is enlightening. Don't Look Down is an acoustic solo performance recorded in 2010 and 2011 and the connection 'tween performer and audience can be felt as well as heard. Case in point: how many times has he had to play “Romeo’s Tune” live? A million times? Maybe more? Well, each and every live recording I’ve heard of that track, Forbert is still giving his all and making it sound fresh and exciting. When this set was recorded, that song was already three decades old and he still treats it as if it was on his most recent album. It might be frustrating for an artist to try to push a new album when all the audience wants to hear is the hits, but you really can't tell with Forbert. He is truly in his element on a stage. 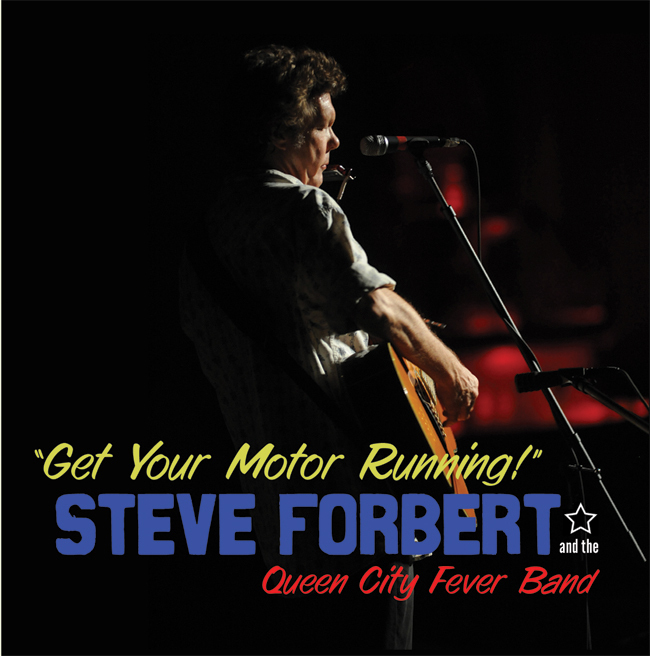 Get Your Motor Running finds Forbert backed by the Queen City Fever Band and it is a truly rocking show. He throws in a few surprise cover versions (Elvis' "Heartbreak Hotel", Steppenwolf's "Born To Be Wild" and The Velvet Underground's "Rock & Roll", which segues into his own "You Can Not Win If You Do Not Play") plus a nice mix of old and new Forbert gems. His old nuggets sound just as vibrant as the newer tracks and he doesn’t hold back in letting loose and having fun. Now, what are you waiting for? 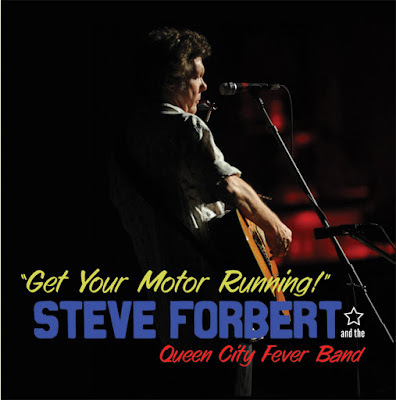 Time to build up your Steve Forbert CD collection. And guess what? There's more to come! I enjoyed your SF commentary. Was looking up a tab (for Lay Down your Weary Tune again), when I came across it. I'm obviously not as much a fan as you are, but had the first 2 albums and a few others. The one that really stuck with me most is Mission of the CP, which, I guess was an extreme commercial flop, but a really great record.